The California wildfire season of 2018 has been record-setting and thus far has scorched three times as many acres as were burned during the previous year. On August 7th, the Mendocino Complex, which consists of twin fires in northern California, became the largest fire in state history, covering 455 square miles, and is not expected to be fully contained until September. Map 1 shows the current perimeter of the fire north of San Francisco and Sacramento. There are 18 other fires currently burning across the state 1 (see Map 2). It can be difficult to understand the magnitude of the California fires. Map 3 shows data from the USGS GeoMAC Wildland Fire Support System which has been scaled to represent a fire with the same area as the Mendocino Complex occurring in the Memphis region. 2 The Carr and Ferguson fires are the second and third largest fires in California. 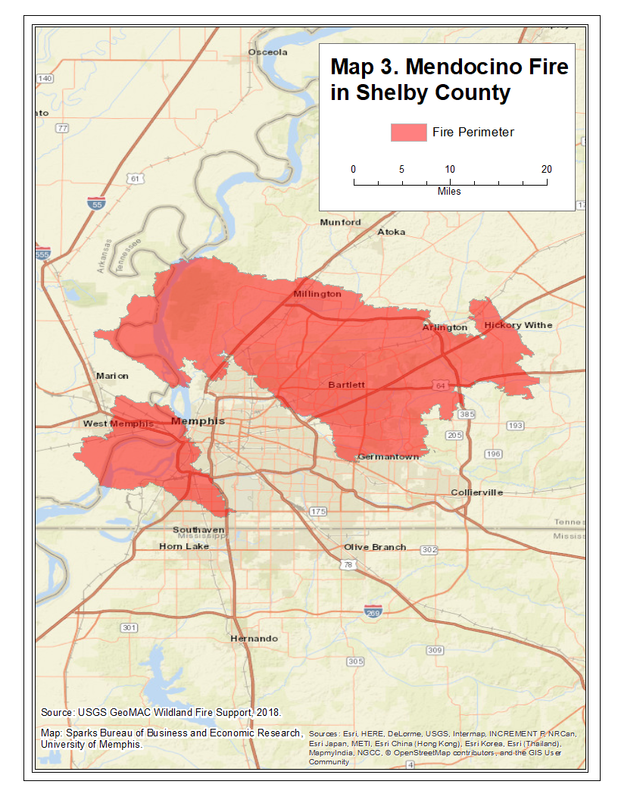 Map 4 shows what fires of their magnitude would look like in Memphis. While the Mendocino Complex is the largest fire in California history in terms of area, it is not the largest in terms of property damage. The Holy fire outside of Los Angeles is a small fire compared to other fires in the state but has the potential to have a large financial impact since it is located in a heavily populated area. 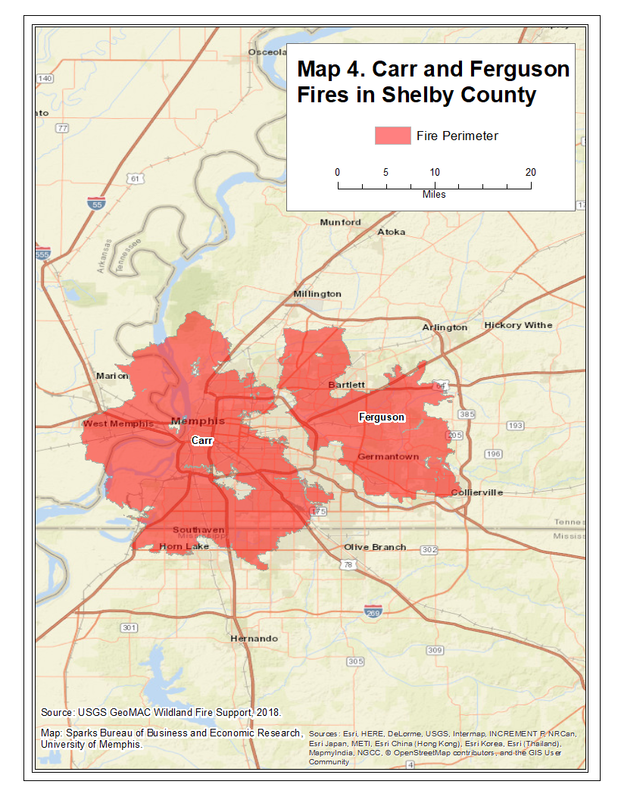 Map 5 shows what a fire the size of the Holy fire would look like in Midtown Memphis. 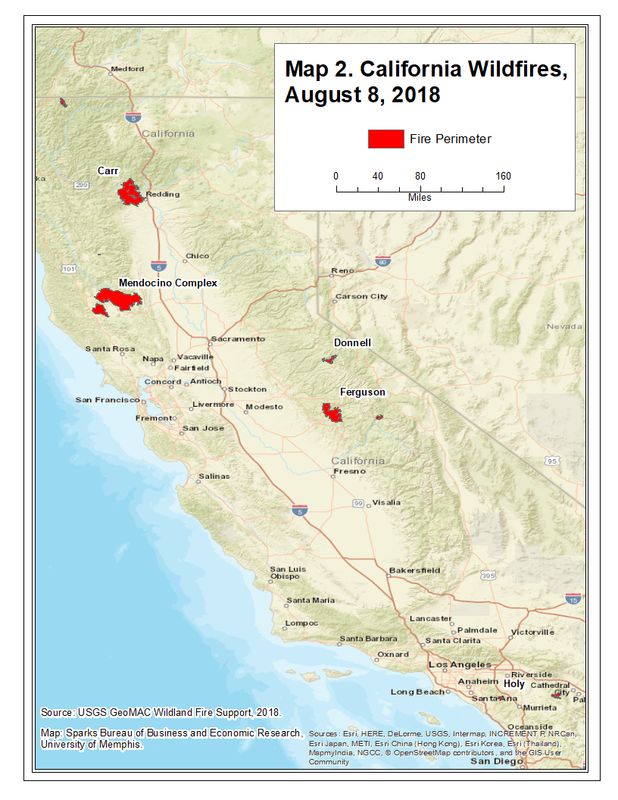 1 August 7, 2018, and 1:29 PM, “Largest wildfire in California history is still growing.” [Online]. Available: https://www.cbsnews.com/news/mendocino-complex-fire-california-largest-wildfire-state-history-still-growing-today-2018-08-07/. [Accessed: 08-Aug-2018]. 2 “GeoMAC Wildfire Application.” [Online]. Available: https://www.geomac.gov/index.shtml. [Accessed: 08-Aug-2018].